With Mother’s Day fast approaching, now is the perfect time to make your Mum a special handmade gift. Liberty tana lawn is a high quality fabric produced in iconic floral designs. With its high thread count and beautiful floral designs, it is ideal for creating a special gift for your Mum. We have put together a roundup of some of our most popular Liberty projects and tutorials to inspire you. Monogrammed Sachets, featuring a classic French style cross stitch monogram, framed in a floral print, and filled with dried lavender. These sachets are great to place in your lingerie drawer and are a sweet gift. Liberty Pencil Case is a fun, quick project that combines Liberty fabric and essex linen. Check out our free tutorial for all the details. Liberty Drawstring Pouch is suitable to packaging up a sweet gift. Made using our free tutorial, the Liberty version features some pretty hexagons. Liberty Criss Cross Coasters feature a simple patchwork cross, set in white linen, and finished with a ricrac trim. Give a set of coasters as a sweet gift. 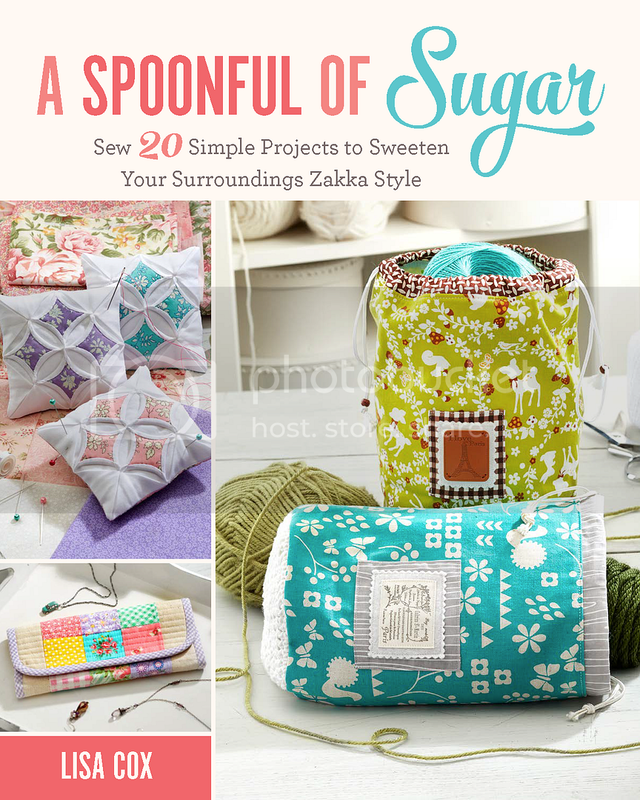 This pattern comes from my book, A Spoonful of Sugar. One of my favourite Liberty fabric projects is this mini Liberty yoyo wreath. Made in pretty spring colours – it would be a lovely addition to a bedroom. The perfect way to finish a gift is with a Liberty Dress Form gift tag. Check out our tutorial for all the directions in making your own. These are our favourite Liberty Gifts to Sew. If you love creating with Liberty fabric, you can find more inspiration over on our Liberty Fabric Projects post and on our Liberty Love Pinterest page. You always take the prettiest pictures! Love all the cute projects – especially enjoy the Liberty Criss Cross Coasters! Thank you for sharing!